Travs Tree Services provide Tree and Stump Removal to the eastern suburbs in Melbourne Victoria including Kew, Templestowe, Greensborough, Eltham and the surrounding suburbs. Travis Garden is the owner and manager behind Trav's Tree Services and manages teams of arborists that provide a range of tree services including; -Tree Removal -Stump Removal -Service Wire Clearing -Tree Lopping -Tree Pruning -Arborist Reports -Stump Grinding -Storm Clean up services -Hazard and Risk Assessments -Fire Protection -Tree Assessments -Possum Banding and Pest Reduction -Corrective Tree Cable Bracing -Local Tree Services in the Eastern Suburbs of Melbourne All work is insured up to $20,000,000 and onsite quotes can be organised easily over the phone. Travis has a passion for nature and keeping trees healthy so they can flourish and keep the community green. For advice or to book a service, give Trav a call directly with the number provided. BASED IN MELBOURNE, we are your one-stop-shop for tree services. We service both domestic and commercial clients. From hedging, to pruning, or complete tree removal. We pride ourselves in delivering excellent customer service. Call us now for a quote - we are competitively priced. Max Tree Services gives Tree Pruning and Shaping, Stump Gridding and Tree Stump Removal, Wood Chipping, and Cable Bracing. Our expert tree climbers, tree removalists, and machine operators are knowledgeable about what they do and qualified in getting the job done right. We deal with every individual client and take a stab at the best outcome with a passionate, affordable and reliable way. Max Tree Services gives 24/7 emergency service as we believe every one of our clients to be comparatively basic. 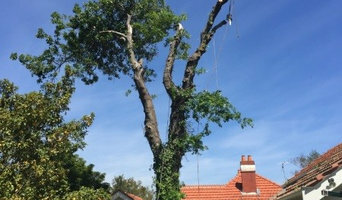 Call our arborist today 0405 768 805 for tree removal Melbourne. Botanica Garden Styling is committed to creating lush, balanced landscapes that are welcoming and easily maintained. The gardens we design are created as spaces for living and are focused on creating something aesthetically beautiful while encouraging the lifestyle you imagine. All members of the household and their needs are taken into consideration. We believe in the concept of the garden as an outdoor room, taking into account existing site features and considering the connections between interior and exterior spaces. Privacy, light, shade, texture and function are central to our design ethos. 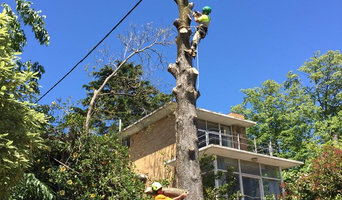 At Treeman Melbourne, we provide professional tree removal services for residents and businesses in and around Melbourne and the Mornington Peninsula. We also provide tree pruning, mulching and land clearing. Call today for a fast, affordable quote! Melfab's steel engineering in Melbourne specializes in CNC machinery and milling as well as metal and sheet metal fabrication, drilling, turning, etc. They pride themselves on their customer service and the ability to meet their customer demands. Among all the property investment companies in Melbourne, only Dinas Estate Agents offer the best property investment, consultants. We have always taken pride in helping individuals in establishing their wealth portfolios. Our passion for property investing is apparent because we practice what we preach, means we are ourselves property investors. We work hard to provide our clients with precise knowledge and detailed advice to make sure they make an informed decision when it comes to property investment. The major benefit of working with our property investment consultants in Melbourne is our simple, hassle-free and effective property investment process. Call Dina Estate now and enjoy free one hour intro. Little Print offers the best quality printing services at Melbourne. The services provided here meet the quality standards. Students who approach the team for project purposes and customers who meet for business purposes get the best-ever experience from the Little Print team. Whether you’re planning a new garden or landscaping an existing one, an arborist can also advise you on the best tree selection for your Notting Hill, Victoria environment, assist in planting, and can provide you with a long-term maintenance plan. Furthermore, they can help you diagnose any insect problems or diseases threatening existing plants in your yard. If you want to relocate a tree, an expert in arboriculture can give you advice on what it will need to flourish, and will replant it accordingly. Other services include hedge and shrub trimming, tree pruning and mulching. Tree contractors and arborists in Notting Hill may work in conjunction with landscaping professionals to create a seamless design. Here are some related professionals and vendors to complement the work of arborists & tree services: Landscape Contractors & Gardeners, Landscape Architects & Designers, Garden & Landscape Supplies.